Liberal women must surely be asking why their party is so clear-eyed when facilitating the departure of competent women, and yet so mealy-mouthed about recruiting and promoting them. Prominent among Prime Minister Scott Morrison’s comments on Kelly O’Dwyer’s retirement to pursue family life, was to say he supported his minister’s decision, and indeed supported all such choices by women. Such clarity has been conspicuously absent from the Liberal Party’s leadership since its now widely accepted “women” problem came to the fore in 2018 amid claims of bullying, implied career threats, ingrained gender bias, and other generally oafish behaviour. Even more opaque has been the Liberal Party’s puzzling refusal to broach any corrective action to address a powerful internal preference for men, when selecting candidates in winnable seats. This, despite a miserable return of just 13 female MPs of its 76 in the lower house after the 2016 election. It is even worse now, and voters are on to it. O’Dwyer is the second female Liberal from Victoria to call it quits in six months after her friend, the talented rookie backbencher Julia Banks, spectacularly called time on the party in the wake of Malcolm Turnbull’s brutal ouster. Banks went to the cross bench to form a quartet of competent female moderates with past ties or sympathies to the centre-right – Banks, Kerryn Phelps, Rebekha Sharkie, and Cathy McGowan. There have been other high-profile departures this term also on family grounds with two frontbenchers on the Labor side – former minister Kate Ellis, and rising star Tim Hammond – both bowing out. That federal politics is hard on families and relationships is hardly news, but the slew of resignations / defections underscores how little has been done to change things. In any event, O’Dwyer’s retreat is arguably the most pointed given the current debate, her particular government portfolio, her hard-won ministerial seniority, and her party’s woes. It makes Liberal retention of her previously safe Melbourne seat of Higgins somewhere between problematic and unlikely. On the social media platform Twitter where cynicism and vitriol flows freely from people hiding behind false identities, her departure has been met with some appallingly personal abuse, exaggerated outrage, and claims she was merely a rat leaving a sinking ship. It is true that retaining the seat would have been no certainty even with O’Dwyer still as the candidate, especially given Victoria’s recent anti-conservative tendencies in state election races, but with a new candidate, the Liberal jewel is undoubtedly more vulnerable. Feminists will be aggrieved to see another senior woman go but they might also be quietly disappointed in her stated reasons. In contradistinction to some of her predecessors, O’Dwyer, did substantive work as minister for women, and unlike some, gave the impression of actually believing in the mission. She also garnered respect from across the aisle and within the press gallery as a person of warmth and humility – stand-out qualities on Capital Hill. O’Dwyer created enemies however on her party’s increasingly reactionary right flank by outlining the challenges for women – especially in politics – acknowledging the Liberal Party’s poor image in some quarters. She was even reputed to have told colleagues they were seen as a bunch of “homophobic, anti-women, climate change deniers”. Her introduction of a women’s economic security statement last year was another material achievement resisted by some as political correctness. 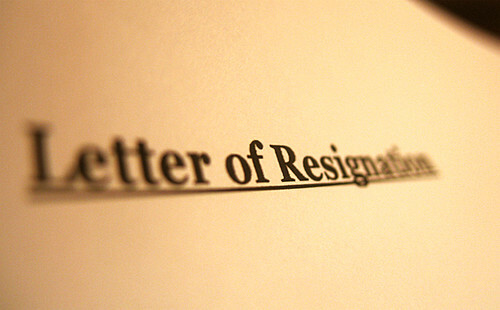 But in declaring her job’s incompatibility with family life, there was an unmistakable note of resignation, even defeat in O’Dwyer’s “choice”. And coming from the minister most directly involved in remediating that problem for women, her resignation cannot help but reinforce the message that politics may well be no place for women. Morrison’s superficially virtuous support for the choices for women, was no help either – typical of much conservative sophistry around this whole issue. Masquerading as a pro-choice feminist while endorsing a senior colleague’s decision to give up her career for child-rearing and home duties takes some chutzpah. An alternative approach might have been to lament her departure as symptomatic of a flawed representational system, acknowledge the failure of politics to renovate its male paradigm, and vow to change the culture in material ways. It might even be called leadership. For a government laced with longstanding (if undeclared) quotas for ministerial selection – think ratios in the ministry applied to the number of Libs to Nats, House to Senate, moderates to conservatives, and even between states – the blind spot over women’s under-representation and the philosophical objection to corrective action (quotas) is all the more bizarre. It is a mark of how far conservative Liberals have drifted from contemporary public attitudes and even their own philosophy that some would countenance re-nationalising of energy assets and building new coal-fired power stations before correcting a clear market imperfection within their own organisation. And with speculation that Julie Bishop could also withdraw from the 2019 field, the situation facing Morrison’s Liberals threatens to deepen. Through all of this, voters’ views come second. Not so long ago, Bishop was easily the most popular alternative to Malcolm Turnbull in voter land but such unrivalled public support was good for just 11 votes in the party room. would like to have a third, which involves medical challenges. federal cabinet minister has been juggling an enormous load. that he will win the election won’t convince anyone. Henderson and Linda Reynolds talk up the Liberals’ credentials on women looked like the gimmick it was. O’Dwyer says she has “no doubt” her successor as the Higgins candidate will be a woman. Morrison also says he thinks there will be a female replacement. enough women through the ranks now forces it into unfortunate corners. journalist quipped at the news conference, is the situation that blokes needn’t apply? And what if a man happened to win? Remember Morrison’s experience in the Wentworth byelection, where he wanted a woman and the preselectors gave him Dave Sharma? Sharma was generally considered a good candidate – and Morrison is happy for him to have his second try against independent Kerryn Phelps at the general election. it seems they will have some strong female contenders to choose from. of-staff Peta Credlin might chance her arm for preselection. if she ran for preselection and was defeated. ahead in two-party terms in a poll it commissioned late last year. remains in her positions and in cabinet until the election. duck minister in the important IR portfolio is less than optimal. opposition leadership this makes no sense. seat is at risk) and can secure a candidate she favours. the Liberals if Bishop does decide to retire at the election. was not the one chosen. If Bishop were to walk away, she would be making a rational decision. the Liberal party and women. ruled out running for the Higgins preselection. UPDATE: In reply to queries to her office, Bishop said on Monday: “I am pre-selected as the member for Curtin and it is my intention to run”. Barnaby Joyce announces he will stand down as deputy prime minister and leader of the National Party. Barnaby Joyce has capitulated to intense pressure and announced he will stand down, declaring the government needs clear air and he could not continue on the frontbench with an allegation of sexual harassment hanging over him. He told a news conference in Armidale he would quit as Nationals leader and deputy prime minister on Monday at an 8am party meeting, where a new leader will be chosen. After hanging tough for more than a fortnight, Joyce said the final straw was the harassment allegation, by a Western Australian woman, that was made to the Nationals federal president Larry Anthony and revealed on Thursday. Malcolm Turnbull, who last week said Joyce “has to consider his own position” and will be relieved at his departure from the frontbench, quickly affirmed in a statement that the Coalition “partnership is undiminished”. The crisis over Joyce, sparked by revelations in the Daily Telegraph of his affair of his former staffer and now pregnant partner Vikki Campion, has consumed and distracted the government, wiping out what promised to be a good start to the year. The favourite to replace Joyce as leader is Michael McCormack, a junior minister from New South Wales. He is minister for veterans’ affairs and minister for defence personnel. Joyce informed Acting Prime Minister Mathias Cormann and his Nationals colleagues before his announcement. He did not speak with Turnbull, who is in Washington. A week ago, Joyce denounced Turnbull’s very personal attack on him. Today he said it was “incredibly important that there be a circuit-breaker, not just for the parliament but more importantly a circuit breaker for Vikki, for my unborn child, my daughters and for (wife) Nat”. Joyce confirmed he would stay in the parliament, and said he wouldn’t snipe from the backbench. “I have a lot of things I need to do,” he said. He was writing a book, and he wanted to assist his colleagues where he could to keep their seats. And his baby would be born in April. So “I’ll have other things on my mind”. Joyce’s exit to the backbench means another reshuffle, hard on the heels of the December changes. Meanwhile John McVeigh, a Queensland Liberal who is minister for regional development, will act in Joyce’s infrastructure portfolio. Joyce has been leader of the Nationals and deputy prime minister since February 2016. While Joyce’s stepping down will relieve pressure on the government, there will still be intense questioning next week in Senate estimates about the employment arrangements for Campion, who was transferred from Joyce’s office to that of Resources Minister Matt Canavan, and later to the office of then-Nationals whip Damian Drum. Nick Xenophon is a tough dealmaker who demands concessions in return for his crucial numbers. Nick Xenophon, the master of the stunt, is about to indulge in one more before he leaves the Senate for a run at ruling the South Australian roost from its crossbench. After his shock announcement that he’s about to quit federal parliament, Xenophon is off to the US where, early on Monday morning Australian time, he’ll appear with Australian Ugg boot manufacturer Eddie Oygur to protest outside Deckers Outdoor Corporation headquarters in Santa Barbara. The small business of “Aussie battler” Oygur is being sued for an alleged breach of trademark of the word “Ugg” and the boot’s patent design. They’ll have with them, according to the pre-publicity screed from Xenophon’s office, “a flock of sheep”. It’s all about pulling wool over consumers’ eyes and fleecing Eddie, you see. It’s typical Xenophon, an extraordinarily popular and populist politician who specialises in the corny as well as the canny. Xenophon insists his resignation is not influenced by the cloud over his parliamentary eligibility – the High Court next week considers his, and other MPs’, dual citizenship. If that went badly for him, he’d be out of the Senate anyway. We can accept his word. Not only do colleagues say he’s been chewing over the possible change for months – although the actual decision is recent – but a source within the government ruefully admits there were hints that weren’t picked up at the time. Regardless of the court outcome, the Nick Xenophon Team (NXT) numbers are safe. If he loses the case, Xenophon’s Senate spot would be filled by the next person on the 2016 election ticket – Tim Storer, who runs a trade consultancy. If his position is upheld his party will choose his replacement. At last year’s election Xenophon went from a one-man band to having a team of three senators and one lower house member. NXT Senate support is needed to pass government legislation that is opposed by Labor and the Greens. With a government that wants to get measures through, the NXT – like Pauline Hanson’s One Nation, with four Senate votes – is in an enormously powerful position. The difference between Xenophon and Hanson is that he usually extracts a price. He’s a tough dealmaker, who demands concessions in return for his crucial numbers. Government negotiators sometimes can’t quite believe what they are having to give him. Most recently he received a package worth more than A$60 million for backing the media reform bill. Earlier, as part of a deal to pass company tax cuts, he secured a one-off payment to help with high power prices for people on aged and disability pensions or the parenting payment, costing the budget some $260 million. 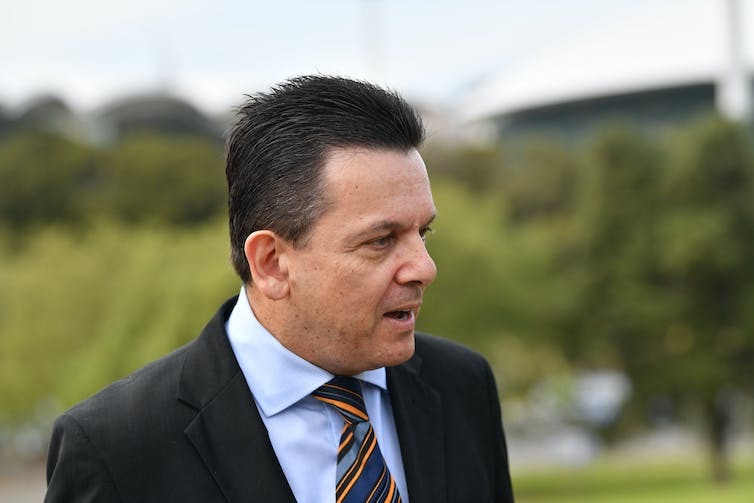 Leading his SA-BEST party for the March election, Xenophon wants to extend that power to state politics – where he started, elected in 1997 on an anti-pokies crusade. “With SA-BEST and NXT holding the balance of power in both the state parliament and the federal Senate, we will work together as a united team under my leadership to drive real change to improve the lives of all South Australians,” he said in his statement announcing his resignation, which will wait until after the High Court decision. All the signs are SA-BEST will do well, harvesting people’s discontent with the major parties. Xenophon himself will contest the marginal Liberal seat of Hartley, where he lives. His personal entry into the SA contest will give much more heft to SA-BEST – already with a strong vote in private polls – and strike more alarm into both Liberals and Labor. He is keeping his counsel on which side he would support in a hung parliament, so maximising uncertainty. The party will not issue preferences. ABC analyst Antony Green predicts Xenophon’s party “will poll well enough to finish first or second in enough seats to make it very unlikely either side can win a majority in its own right”. There will be a dozen electorates in which SA-BEST will be very competitive, according to Green. He says Xenophon’s entry will be better for the Labor Party than the Liberal Party, because “he’ll be more of a challenge in Liberal seats”. Xenophon’s departure leaves his Canberra team with considerable uncertainty. While its numbers are preserved, it has no experienced person to step into Xenophon’s shoes. That might sound all right in theory. In practice it would be complicated, especially when there is complex legislation and difficult negotiations. Even over the last year, there have been a few suggestions of differences between Xenophon and members of his team. The more time passes, the greater the chance of Xenophon losing touch with the federal nitty-gritty and the federal team resenting input from afar. The leadership within parliament would have to go to one of the two other current senators: Stirling Griff (most likely) or Skye Kakoschke-Moore. There is some uncertainty about whether Xenophon would remain overall leader of the party, as well as the state leader. His comment, quoted above, referring to “under my leadership”, suggests he would. And Griff says “we still consider him the leader of the federal party” as well as of the state party. Immediate future arrangements will be discussed when the NXT meets on parliament’s resumption the week after next. The longer-term questions will remain. Among them will be the name of the party for the next federal election, and whether Xenophon – even if he stays overlord of the federal party – can retain as much of a national profile when his focus becomes South Australian politics. The link below is to an article reporting on the latest persecution news out of Nigeria, where the president has been told to resign by Boko Haram terrorists.